Like any other kid that goes to daycare here, Ishaan loved goldfish crackers from a very young age. Although I was okay if he ate them at daycare, I like to avoid giving them at home. So I wanted to make something similar for him, where I could control the ingredients. One day I was searching for crackers recipe and I came across this and this. I bookmarked the recipe and forgot all about it. Finally yesterday I made them. Instead of all purpose flour, I used wheat flour(chapati atta), so they turned out little dense. For some extra flavor, I added cumin seeds and chilli powder. They tasted great. Next time I will make them a little thin and use finely grated cheese, since some were not very crispy. 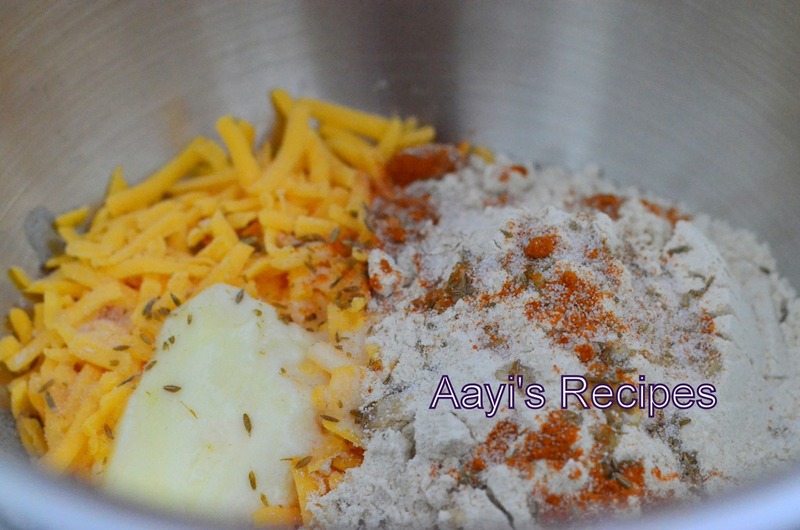 Mix everything together to make a dough. While adding water, add 1 tbl spn at a time till the dough comes together nicely. 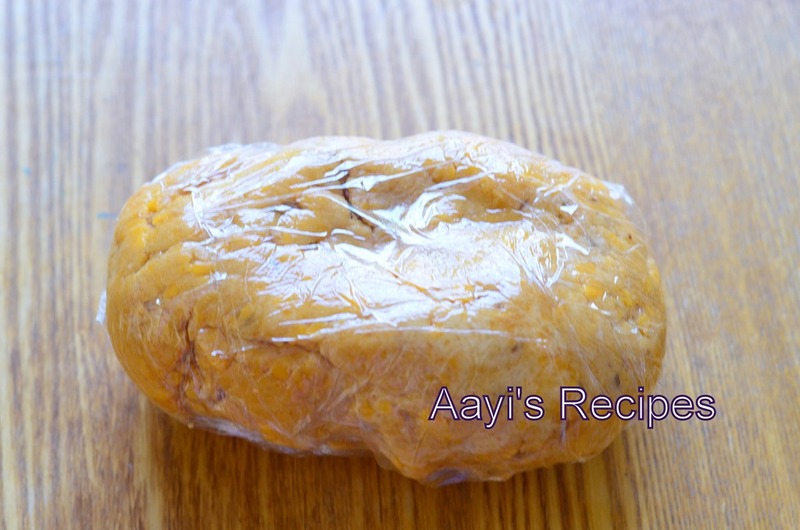 Wrap in a plastic wrap and refrigerate for 3-4hrs. Roll the dough into 1/8 inch thin sheet. Remember, if you make them too thick, they do not become crispy. Cut them into required shapes. Bake for around 18-20 mins till they get a golden color. I checked them after 15mins and then kept them again for couple more minutes. Let them cool to room temperature, serve. With everything these days being made with lots of preservatives and artificial ingredients..its wonderful to have recipes like these that hand over the same pleasure as store bought ones.. They look amazing. I use wheat flour (chapati atta) to bake sourdough breads. It turns out great. Will try this. Looks interesting. It is a good idea to give children an alternative,instead of restricting them from eating something unhygienic.I am happy that you used chapati atta in place of maida. Good recipe. I had made similar crackers using shredded beets. 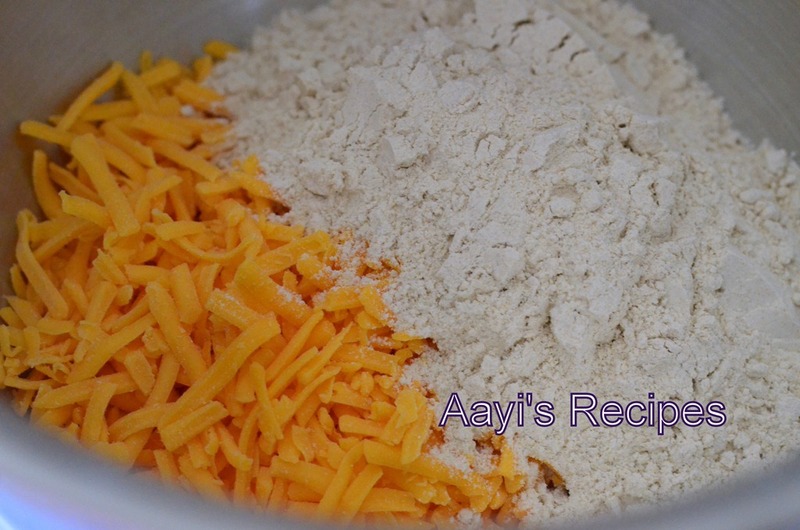 You can also use “White Whole Wheat Flour” instead of the chapati aata. Will work with BS on this one next. 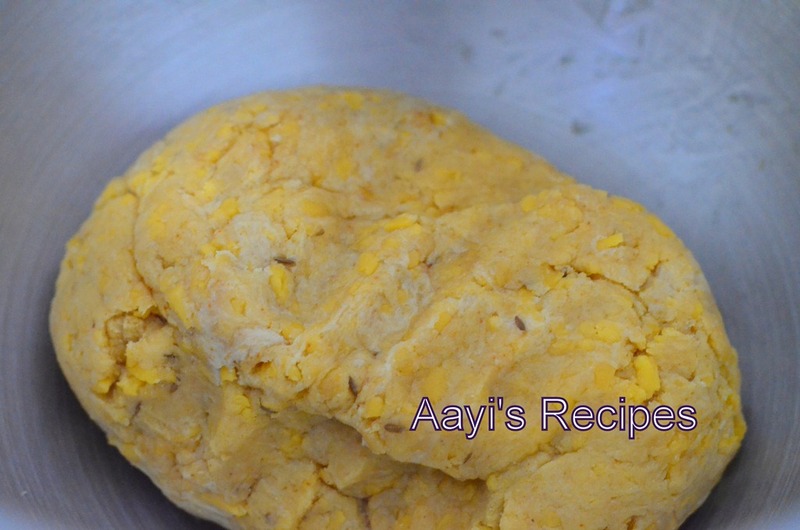 I make jeera biscuits similar way, use oil instead of butter but I think butter will be better. 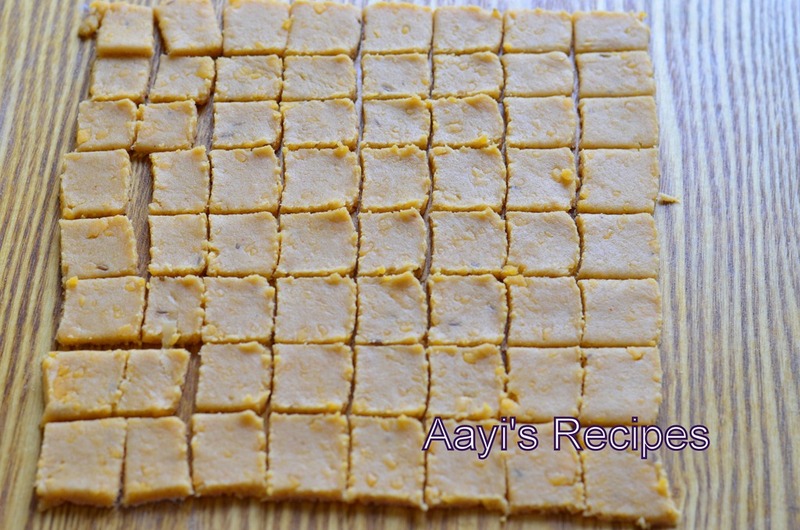 This recipe is very helpful.I have a 11 month old and want to try this recipe. 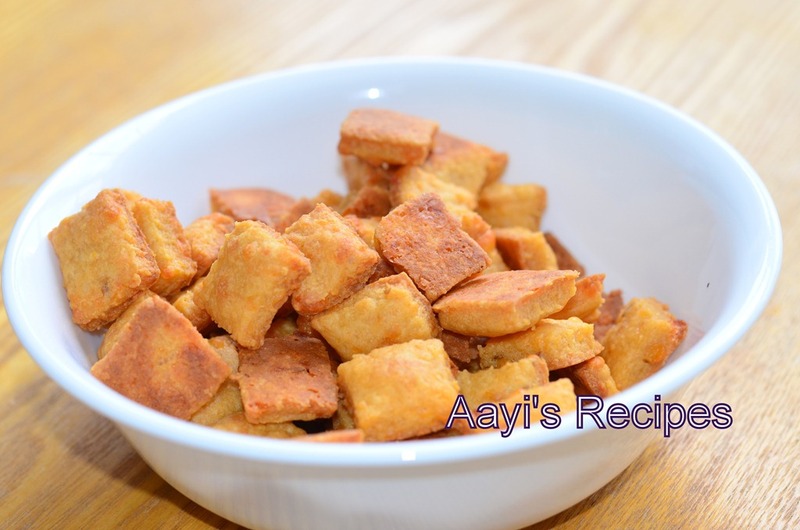 Kindly let me know,if we can also use cottage cheese instead of the cheese suggested in this recipe. Sorry Varsha. I don’t know how the crackers will turn out with cottage cheese. 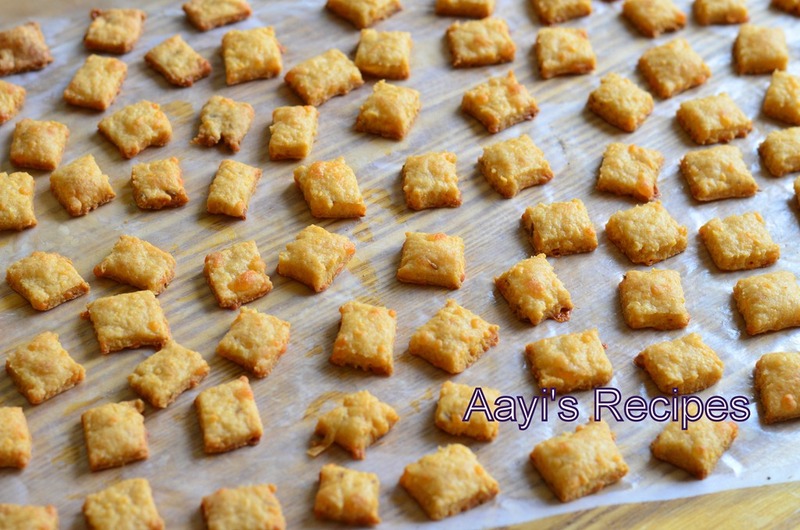 For the cheddar cheese crackers, would like to know how to make the same in a microwave. i do not have an oven unfortunately. I don’t bake in microwave. so not really sure. I would try with a small batch, microwaving them for around 5 mins and try. Thank you so much.Your all recipes are so simple and easy.My hubby is foodie.I ask you one questation that if we have not oven & microwave then how can we make it? please reply me.